This offering features a Reproduction Antique Rosewood Chessboard. 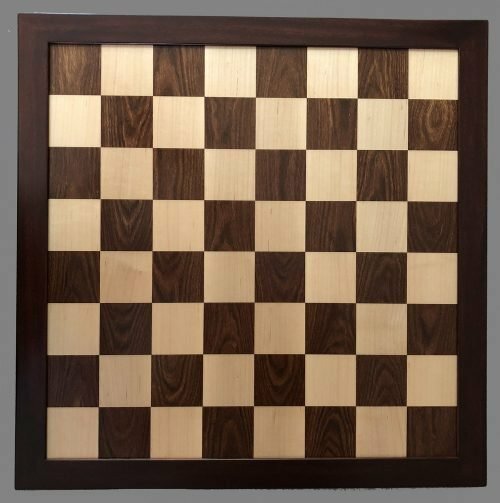 The chess board squares are recessed Sycamore and Rosewood with a stained Mahogany back and a solid, antique stained, Mahogany frame. The chessboard measures 23″ square. The square size is 2-3/8″. This chessboard was produced to accompany the Club-Size 1849 Nathaniel Cooke reproduction chessmen offered elsewhere on this site. 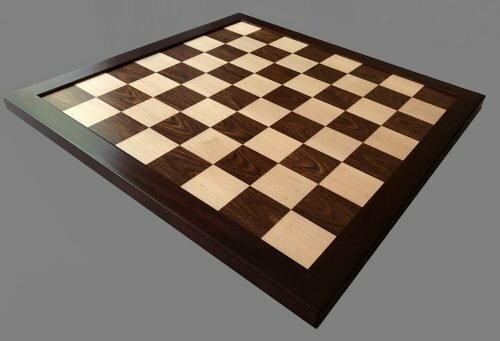 The chess board is an exact reproduction of the chessboards produced in the 1800s and early 1900s. 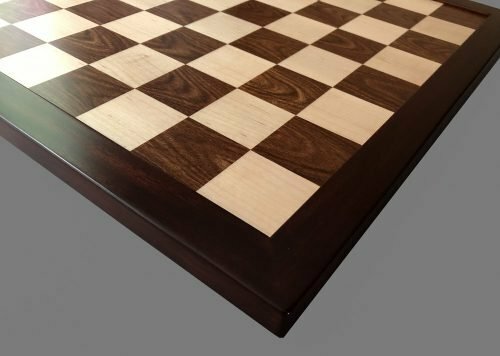 The chessboard was designed by Frank Camaratta and will accommodate chessmen with a base diameter of between 1-3/4″ and 1-7/8″. This English-made framed playing field style chessboard was in common use until World War II. After the War, much more economical wooden chess boards started appearing from other European countries such as Spain, Poland and Germany. Chessboards bearing the Jaques of London and British Chess Company stamping were all most likely produced by the same factory in the UK.